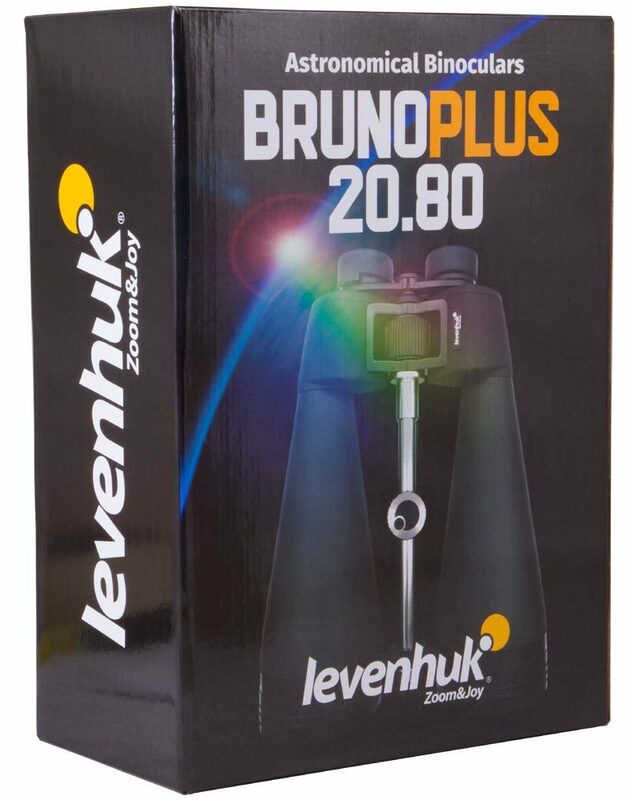 Levenhuk Bruno PLUS 20x80 astronomy binoculars are an excellent choice for studying the starry sky, the Moon and planets and meteoric showers. 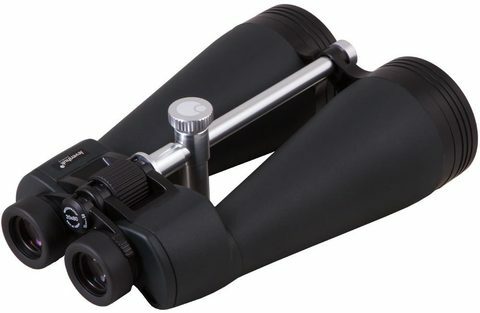 It is much more compact than a telescope, but is in no way inferior to one. The capabilities of these binoculars are quite comparable with those of an entry-level refractor. 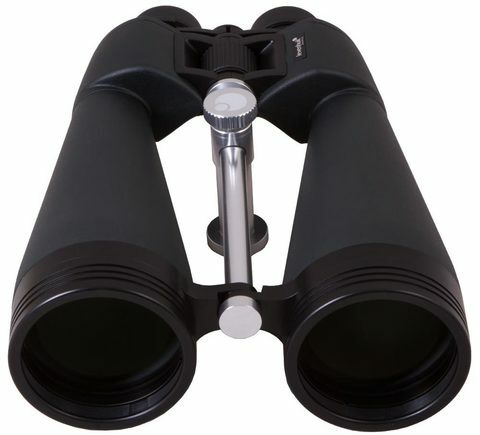 Moreover, the binoculars are adaptable to a tripod, and they are not affected by bad weather. 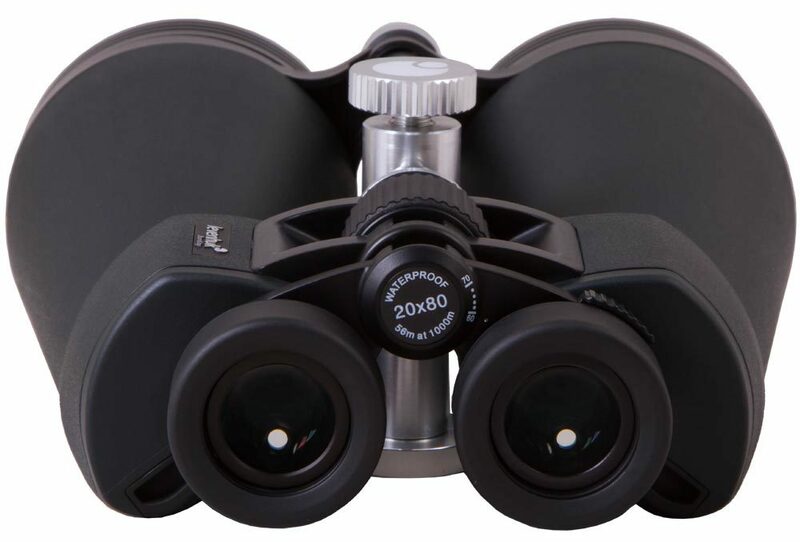 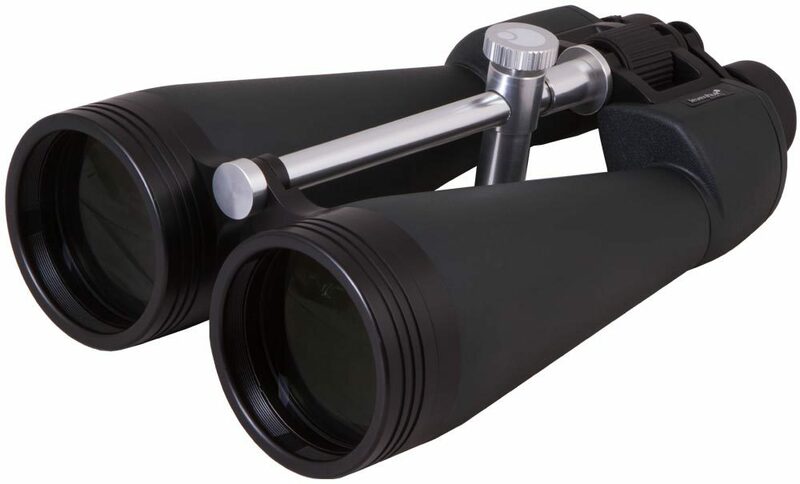 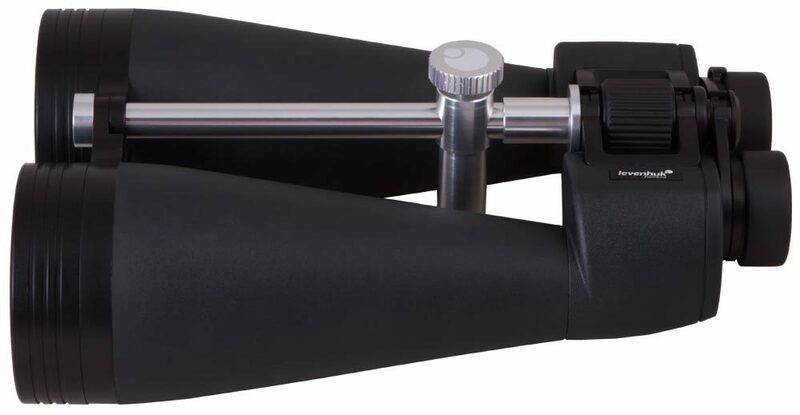 Levenhuk Bruno PLUS 20x80 astronomy binoculars are perfect for countryside observation. 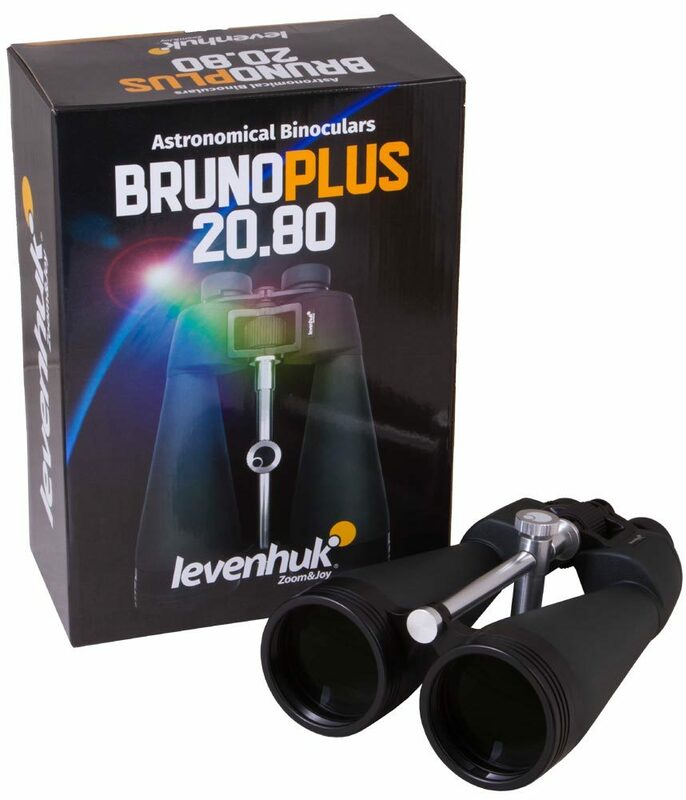 The design is based on classic Porro prisms, which collect light perfectly. 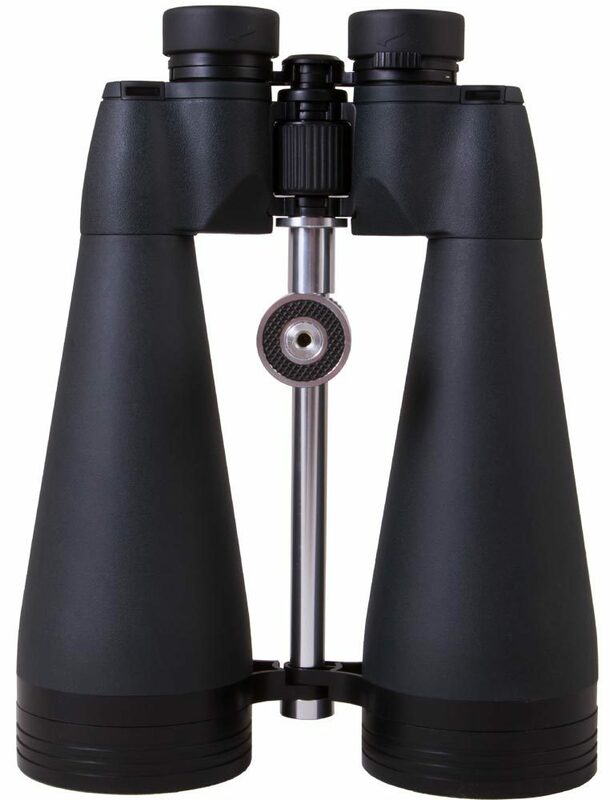 Multi-coated lenses and five-element eyepieces increase the contrast and sharpness of the image and allow you to see more details on remote objects. 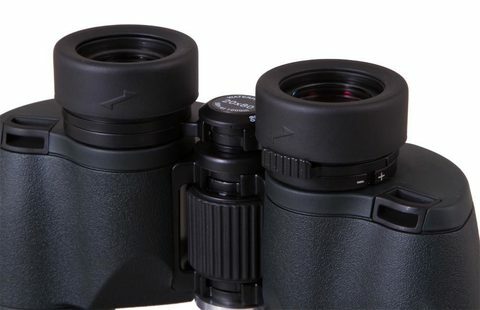 You can see a crisp and clear picture without aberrations, even at night. The binoculars’ aluminum shell is filled with nitrogen and prevents water penetration. The shell is not afraid of rain, snow, and temperature changes. 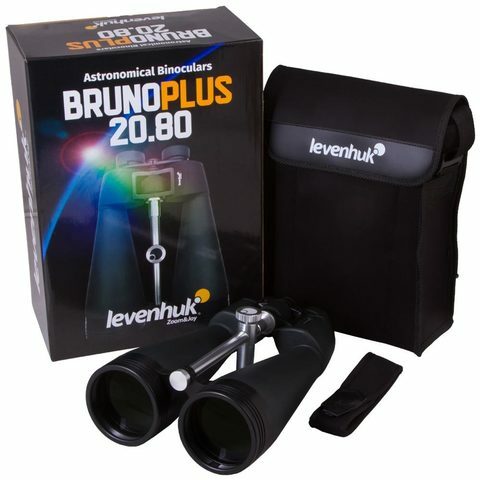 You can use Levenhuk Bruno PLUS 20x80 astronomy binoculars in any weather conditions. 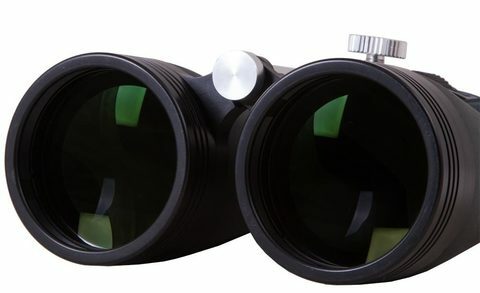 The binoculars are customizable: you can change the interpupillary distance, adjust diopters on the right eyepiece, and set up twist-up eyecups if needed. For long-term observations, you can mount the binoculars on a standard tripod.